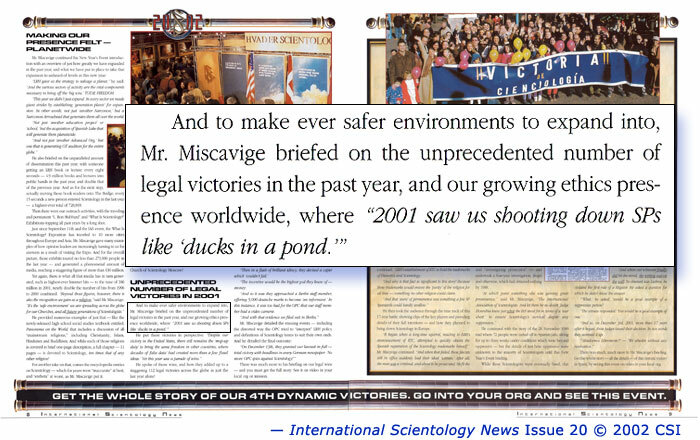 SPDL note: All of the people in this audience heard Scientology leader David Miscavige announce that 2001 saw the cult “shooting down SPs like ducks in a pond.” None these people protested. All of these people cheered. People with any humanity left in them would be horrified. 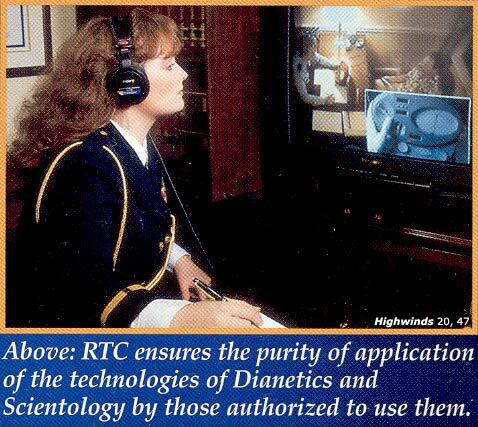 In 1970 a police agency of the French Government conducted an investigation into Scientology and concluded, “this sect, under the pretext of ‘freeing humans’ is nothing in reality but a vast enterprise to extract the maximum amount of money from its adepts by (use of) pseudo-scientific theories, by (use of) ‘auditions’ and ‘stage settings’ (lit. to ‘create a theatrical scene’) pushed to extremes (a machine to detect lies, its own particular phraseology . . ), to estrange adepts from their families and to exercise a kind of blackmail against persons who do not wish to continue with this sect.” From the evidence presented to this court in 1984, at the very least, similar conclusions can be drawn. In addition to violating and abusing its own members civil rights, the organization over the years with its “Fair Game” doctrine has harassed and abused those persons not in the Church whom it perceives as enemies. The organization clearly is schizophrenic and paranoid, and this bizarre combination seems to be a reflection of its founder LRH. The evidence portrays a man who has been virtually a pathological liar when it comes to his history, background, and achievements. The writings and documents in evidence additionally reflect his egoism, greed, avarice, lust for power, and vindictiveness and aggressiveness against persons perceived by him to be disloyal or hostile. At the same time it appears that he is charismatic and highly capable of motivating, organizing, controlling, manipulating, and inspiring his adherents. 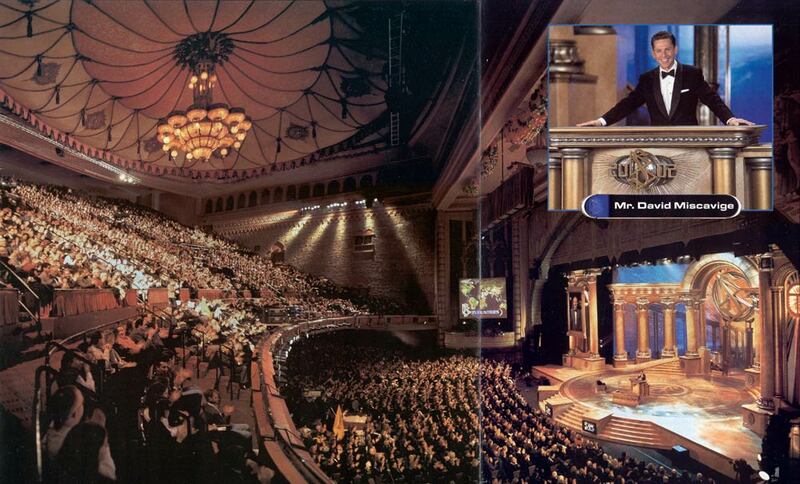 He has been referred to during the trial as a “genius,” a “revered person,” a man who was ” viewed by his followers in awe.” Obviously, he is and has been a very complex person, and that complexity is further reflected in his alter ego, the Church of Scientology. 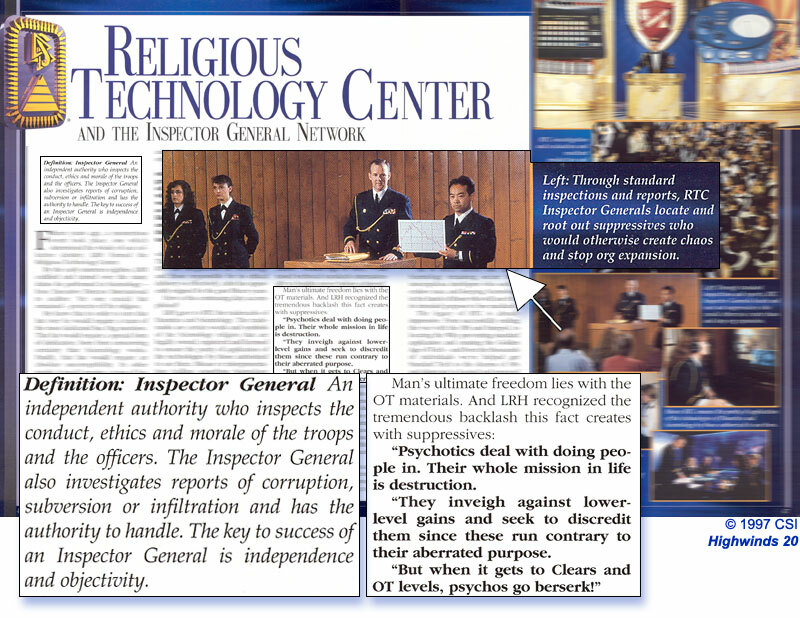 On February 18, 1982, the Church of Scientology International issued a ” Suppressive Person Declare Gerry Armstrong,”2 which is an official Scientology document issued against individuals who are considered as enemies of the Organization. 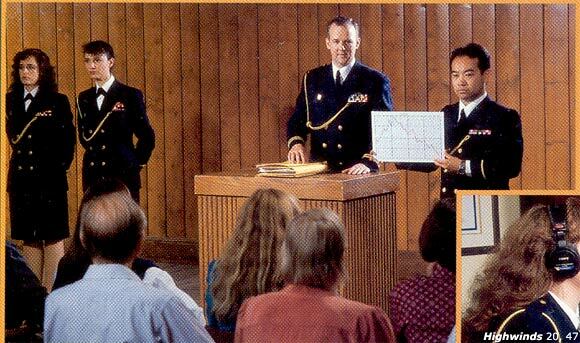 Said Suppressive Person Declare charged that Defendant Armstrong had taken an unauthorized leave and that he was spreading destructive rumors about Senior Scientologists. are hereby declared Suppressive Persons for pretending to have and distribute forged and altered “Upper Level Materials” which were of a Research nature and not for distribution. All Certificates and Awards are cancelled. LIABILITY — Suspension of Pay and a dirty grey rag on left arm and day and night confinement to org premises. TREASON — Suspension of pay and deprivation of all uniforms and insignia, a black mark on left cheek and confinement on org premises or dismissal from post and debarment from premises. 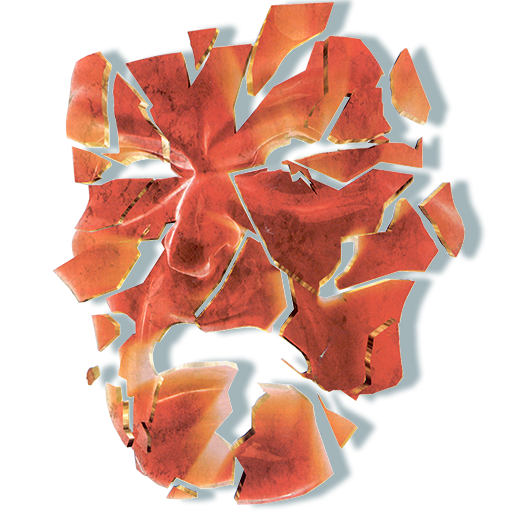 DOUBT — Debarment from premises. Not to be employed. Payment of fine amounting to any sum may have cost org. Not to be trained or processed. Not to be communicated or argued with. Hubbard, L. R., (1967, 18 October). Penalties For Lower Conditions. (Hubbard Communications Office Policy Letter).